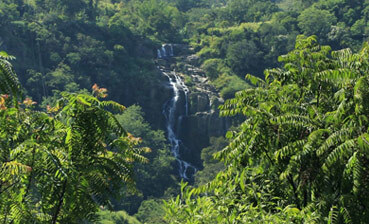 Ella is a striking town which is poised at the southern edge of Sri Lanka in the Uva Province. This town has been magnificently fringed by the misty hills of the country. This enigmatic setting provides bewitching scenery. The hills are more glorified by the emerald woods that inhabit the most intimate wildlife of the region. Ella is a town that bestows the most exclusive thing which is tranquility and peace of mind that is hardly found anywhere else. Besides a good trek through the enchanting woods of amidst the scenic countryside is what it offers to its visitors. Receive a warm welcome after which you’ll be transferred to the starting point of the trek. Breakfast enroute. Start your trek amidst the most splendorous natural setting. Move further and explore the authentic lifestyle of the villagers. Locals indulged in their daily chores and farmers busy farming on the scenic mountainous region of the island is a common as well as the most interesting sights that are to be witnessed during the trek. Walk past a glorious sight Ella agricultural region where the glistening paddy fields looks like a crown to the mountain terraces which is further glorified by the rushing streams for its irrigation. Next stop would be a local village house where you will get familiar with the welcoming farmer residents of the house. Explore their house and indulge in some coconut sipping direct from the coconut tree from his garden. Bid adieu to the farmer and his family. Continue you trek from some intense woods to a scenic stream. The picturesque stream would take you to one more thrilling terrain which that gets complicated through small villages. This further provides you the alluring vistas of the ethnicity of the locals in Sri Lanka.